Hygiene is a must for cats. Help it by providing some care. Grant it an occasional bath. You must have heard many times that cats are some of the cleanest animals on the face of the Earth. 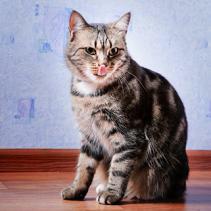 You may have seen this with your own eyes, as your cat spends the day preening and combing itself with its rough tongue. And not only that. Actually, from the time they are small, their mothers are responsible for keeping them pristine, and as they get older, they may even clean each other. There is no doubt that cats are demanding animals in terms of hygiene and you can contribute to that. Give it a bath from time to time without fear of its alleged hatred of water. Because in reality, although this belief is not entirely false, not all cats have a water phobia. –There are breeds from islands such as the Japanese Bobtail or the Turkish Van who are more than accustomed to water– and they can all get used to water from a young age. 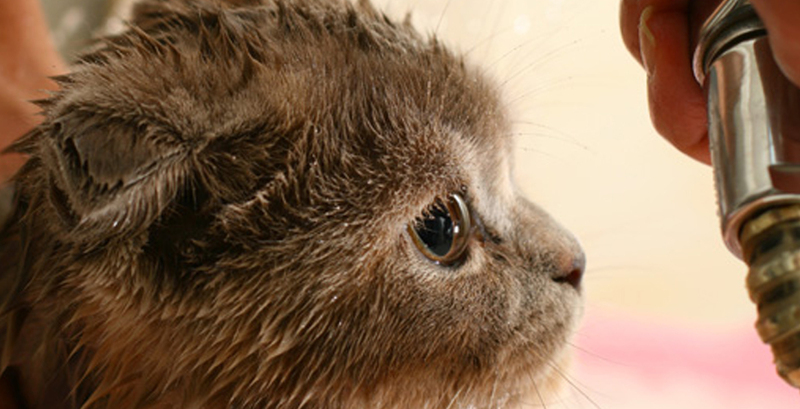 There are many reasons why bathing your cat can be very beneficial: you can bathe it after one of its outdoor escapades, you can bathe it to help remove external parasites such as fleas or ticks, you can bathe it when a dermatological treatment is required, you can bathe it when due to a temporary problem your cat needs help to clean itself, or you can bathe it simply because it likes it. Do it for any of these reasons but following some instructions. Use a special shampoo for cats, as other shampoos can be toxic to felines; bathe it on a surface that is not slippery; make sure that the water is lukewarm; do not point the stream of water directly at its face or ears; have a towel at hand and even use a hairdryer if necessary; get it accustomed to the noise of the hairdryer before applying it to the cat, as it may be frightened. If you take all these instructions into account, there is no doubt that from now on the bathtub will be a fun time for your cat. ¡Like cats to water!